When cells divide, DNA is neatly wrapped up into chromosomes, and the normal expression of genes into proteins stops until the new cells are formed. However, some proteins that regulate gene expression stay attached to the chromosomes and "bookmark" specific genes for the next generation of cells. These proteins are called "transcription factors", and are important in embryonic stem cells because they determine what types of cells they can grow – or differentiate – into. EPFL scientists have now discovered that a transcription factor that is heavily involved in maintaining embryonic stem cells and controls their differentiation into stem cells of the brain and spinal cord also bookmarks genes during cell division. The study, published in Genes & Development, has significant implications for our understanding of stem cell biology and differentiation. Stem cells in the body grow into different cell types. This happens as the stem cell divides into two cells, then four, and so forth. During this cell division most transcription factors are excluded from the chromosomes. However, some remain attached and "bookmark" specific genes for the new cells. While the biological function of bookmarking is still unclear, it may be involved in maintaining the phenotype of normal and cancer cells during cell division. In addition, gene bookmarking is still largely unexplored in most types of stem cells types, and we don't know whether it plays a role in determining what type of cell a stem cell will grow into. The lab of David Suter at EPFL found that a much-studied transcription factor called Sox2 also bookmarks genes during stem cell division. Sox2 is known to be involved in maintaining embryonic stem cells, neural stem cells —which become the cells of the brain and spinal cord—and even cancer stem cells. Sox2 is also one of the four reprogramming factors that make induced pluripotent stem cells—non-embryonic stem cells taken from other parts of the adult body. Because of this, Sox2 is heavily involved in research on these cells, an emerging and very promising field of regenerative medicine. Naturally, the researchers wanted to know how important this is in determining what kind of cell the embryonic stem cell will become. For this, they used genetic techniques to remove Sox2 entirely from cell division, and specifically at the point where cell division ends and the new cells are produced. They found that the absence of Sox2 during cell division severely limited the embryonic stem cells in terms of what types of cells they could differentiate into – referred to as "cell fate". The loss of Sox2 also rendered them unable to differentiate into stem cells of the brain and spinal cord, although they could still be reprogrammed efficiently to become induced pluripotent stem cells. 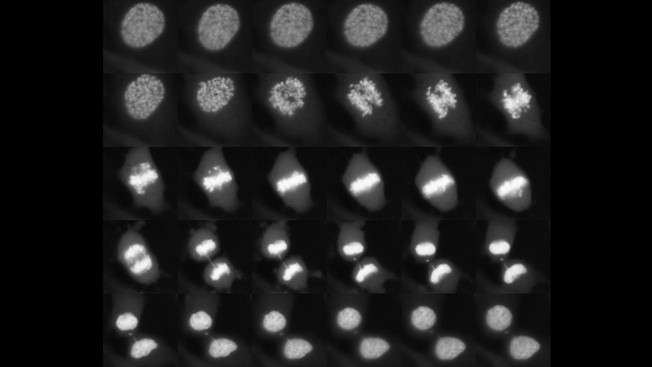 "We already knew that a minority of transcription factors remain bound to chromosomes during cell division," says David Suter. "It was also thought for a long time that chromosome binding during cell division might influence cell fate decisions." This study demonstrates not only that Sox2 is also involved in gene bookmarking during cell division, but that this bookmarking in general regulates cell fate decisions of stem cells. This discovery opens new windows in our understanding of stem cell biology and opens new possibilities for their use in biotechnology and medicine. "Our findings have implications that go beyond the particular case of Sox2 bookmarking in embryonic stem cells," says Suter, who remains cautious but visibly excited about the breakthrough. What decides neural stem cell fate?